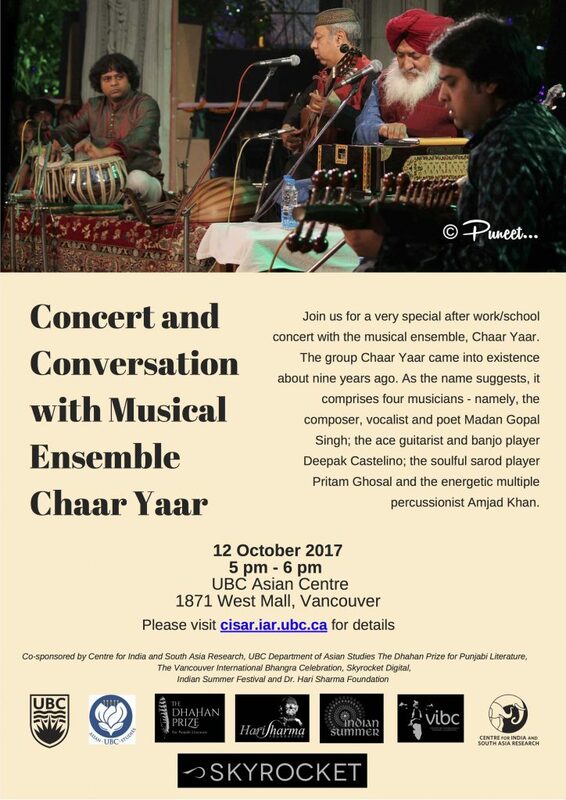 You are invited for a very special after work/classes concert with the musical ensemble, Chaar Yaar. The group Chaar Yaar came into existence about nine years ago. As the name suggests, it is comprised of four musicians – namely, the composer, vocalist and poet Madan Gopal Singh; the ace guitarist and banjo player Deepak Castelino; the soulful sarod player Pritam Ghosal and an equally energetic multiple percussionist Amjad Khan.